Firefox 1.0 was released on November 9, 2004, Firefox 1.5 was released on November 29, 2005, and version 2.0 was released on October 24, 2006. Firefox 3.0 was released on June 17, 2008, with version 3.5 and version 3.6 released on June 30, 2009 and January 21, 2010, respectively. Version 4.0 was released on March 22, 2011. Since the version 5.0, a rapid release cycle was put into effect, resulting in a new major version release every six weeks on Tuesday. The latest version, Firefox 41.0.2, was released on October 15, 2015. The project that became Firefox started as an experimental branch of the Mozilla Suite called m/b (or mozilla/browser). After it had been sufficiently developed, binaries for public testing appeared in September 2002 under the name Phoenix. This name carried the implication of the mythical firebird that rose triumphantly from the ashes of its dead predecessor, in this case from the "ashes" of Netscape Navigator after it had been killed off by Microsoft's Internet Explorer in the "First browser war". The history of the name Mozilla goes all the way back to the internal codename for the original 1994 Netscape Navigator browser, with the name meaning "Mosaic killer" and aiming to some similarity with the building-crushing Godzilla, as the company's goal was to displace NCSA Mosaic as the world's number one web browser. The name Mozilla was revived as the 1998 open sourcing spinoff organization from Netscape. The Phoenix name was kept until April 14, 2003, when it was changed because of a trademark dispute with the BIOS manufacturer, Phoenix Technologies (which produces a BIOS-based browser called Phoenix FirstWare Connect). The new name, Firebird, met with mixed reactions, particularly as the Firebird database server already carried the name. In response, the Mozilla Foundation stated that the browser should always bear the name Mozilla Firebird to avoid confusion with the database software. Continuing pressure from the Firebird community forced another change, and on February 9, 2004 the project was renamed Mozilla Firefox (or Firefox for short). The name "Firefox" (a reference to the red panda) was chosen for its similarity to "Firebird", but also for its uniqueness in the computing industry. To ensure that no further name changes would be necessary, the Mozilla Foundation began the process of registering Firefox as a trademark with the United States Patent and Trademark Office in December 2003. This trademark process led to a delay of several months in the release of Firefox 0.8 when the foundation discovered that Firefox had already been registered as a trademark in the UK for Charlton Company software. The situation was resolved when the foundation was given a license to use Charlton's European trademark. Hyatt, Ross, Hewitt and Chanial developed their browser to combat the software bloat of the Mozilla Suite (codenamed, internally referred to, and continued by the community as SeaMonkey), which integrated features such as IRC, mail and news, and WYSIWYG HTML editing into one internet suite. On June 23, 2005, the Mozilla Foundation announced that Firefox 1.1 (which became Firefox 1.5) and other new Mozilla products would no longer support Mac OS X v10.1, in order to improve the quality of Firefox releases on Mac OS X v10.2 and above. Mac 10.1 users could still use Firefox versions from the 1.0.x branch (e.g. Firefox 1.0.7). Firefox 1.5 was released on November 30, 2005. While Firefox 1.5 was originally slated to arrive later, the Mozilla Foundation abandoned the 1.1 release plan after the first two 1.1 alpha builds, merging it with the feature set of 1.5, which ended up being released later than the original 1.1 date. The new version resynchronized the code base of the release builds (as opposed to nightly builds) with the core "trunk", which contained additional features not available in 1.0, as it branched from the trunk around the 0.9 release. As such, there was a backlog of bug fixes between 0.9 and the release of 1.0, which were made available in 1.5. Version 1.5 implemented a new Mac-like options interface, the subject of much criticism from Windows and Linux users, with a "Sanitize" action to allow someone to clear their privacy-related information without manually clicking the "Clear All" button. In Firefox 1.5, a user could clear all privacy-related settings simply by exiting the browser or using a keyboard shortcut, depending on their settings. Moreover, the software update system was improved (with binary patches now possible). There were also improvements in the extension management system, with a number of new developer features. In addition, Firefox 1.5 had preliminary SVG 1.1 support. Alpha builds of Firefox 1.5 (1.1a1 and 1.1a2) did not carry Firefox branding; they were labeled "Deer Park" (which was Firefox 1.5's internal codename) and contained a different program icon. This was done to dissuade end-users from downloading preview versions, which are intended for developers only. 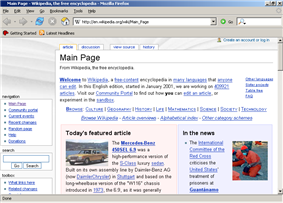 Firefox 1.5.0.12 was the final version supported on Windows 95. Mozilla Firefox 2.0.0.x was the final version supported on Windows NT 4.0, 98 and Me. Mozilla Corporation announced it would not develop new versions of Firefox 2 after the 2.0.0.20 release, but continued Firefox 2 development as long as other programs, such as Thunderbird mail client, depended on it. The final internal release was 2.0.0.22, released in late April 2009.
and tags as defined in the HTML5 specification, with a goal to offer video playback without being encumbered by patent problems associated with many video technologies. Cross-site XMLHttpRequests (XHR), which can allow for more powerful web applications and an easier way to implement mashups, are also implemented in 3.5. A new global JSON object contains native functions to efficiently and safely serialize and deserialize JSON objects, as specified by the ECMAScript 3.1 draft. Full CSS 3 selector support has been added. 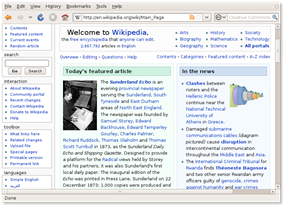 Firefox 3.5 uses the Gecko 1.9.1 engine, which includes a few features that were not included in the 3.0 release. Multi-touch trackpad support was also added to the release, including gesture support like pinching for zooming and swiping for back and forward. Firefox 3.5 also features an updated logo. Firefox 3.6.6 lengthens the amount of time a plug-in is allowed to be unresponsive before the plug-in quits. Beta 2 was released on July 27, Beta 3 on August 11, Beta 4 on August 24, Beta 5 on September 7, Beta 6 (a chemspill release) on September 14. Version 4 brought a new user interface and is said to be faster. 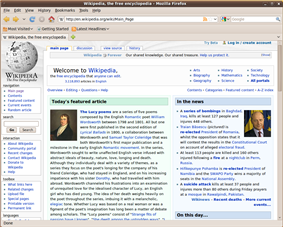 Early mockups of the new interface on Windows, Mac OS X, and Linux were first made available in July 2009. Other new features included improved notifications, tab groups, application tabs, a redesigned add-on manager, integration with Firefox Sync, and support for multitouch displays. On October 13, 2006, Brendan Eich, Mozilla's Chief Technology Officer, wrote about the plans for "Mozilla 2", referring to the most comprehensive iteration (since its creation) of the overall platform on which Firefox and other Mozilla products run. Most of the objectives were gradually incorporated into Firefox through versions 3.0, 3.5, and 3.6. The largest changes, however, were planned for Firefox 4. New releases are planned to occur at six-week intervals. The stated aim of this faster-paced process is to get new features to users faster. This accelerated release cycle was met with criticism by users, as it often broke addon compatibility, as well as those who believe Firefox was simply trying to increase its version number to compare with other browsers such as Google Chrome. Firefox 7, released September 27, 2011, uses as much as 50% less memory than Firefox 4 as a result of the MemShrink project to reduce Firefox memory usage. Mozilla Firefox 7.0.1 was released a few days later, fixing a rare, but serious, issue with add-ons not being detected by the browser. The "http://" protocol indicator no longer appears in the URL. Firefox 13 was released on June 5, 2012. 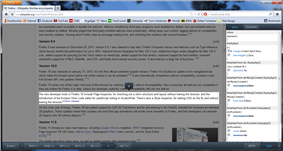 Firefox 13 adds and updates several features, such as an updated new tab and home tab page. The updated new tab page is a feature similar to the Speed Dial already present in Opera, Google Chrome, Apple Safari, and Windows Internet Explorer. The new tab page will display nine of the user's most visited websites, along with a cached image. Starting with this version, Windows support was exclusively for Windows XP SP2/SP3, Windows Vista, & Windows 7. Firefox 18.0.1 was released on January 18, 2013, and added several bug fixes. Firefox 18.0.2 was released on February 5, 2013.
tag (on Windows only), and per-window private browsing (per-tab private browsing on Android). It also includes a new developer toolbox, that combines all developer tools into one panel. Firefox 25 was released on October 29, 2013. Firefox 25 Nightly was at one point slated to include the Australis theme, but Australis did not actually land on Nightly until Firefox 28, did not make it to Firefox 28 Aurora channel, and was finally available with Firefox 29. This release added support for attribute, background-attachment:local in CSS, along with Web audio API support, separate find bar for each tab and many other bug fixes. Firefox 34.0 was released on December 1, 2014. It brings Firefox Hello (a WebRTC client for voice and video chat), an improved search bar, and the implementation of HTTP/2 (draft14) and ALPN, together with other features. It also disables SSL v3, and enables the ability to recover from a locked Firefox process and to switch themes and personas directly in the customization mode. Test builds can be downloaded from the Firefox development channels: "Beta", "Developer Edition" (former Aurora) and "Nightly" (Central). As of September 22, 2015, Firefox 42 beta is in the "Beta" channel, Firefox 43 alpha is in the "Aurora" channel, and Firefox 44 pre-alpha is in the "Nightly" (Central) channel. Firefox ESR is intended for groups who deploy and maintain the desktop environment in large organizations such as universities and other schools, county or city governments and businesses. During the extended cycle, no new features will be added to a Firefox ESR; only high-risk/high-impact security vulnerabilities or major stability fixes will be corrected. An Extended Support Release includes continuity of support through 9 normal Firefox rapid release cycles (54 weeks), with the final 2 cycles overlapping the next version. ESR versions will jump from 10 to 17, then to 24 etc. Green color denotes current Firefox versions, while the pink colour is for older versions. ^ Festa, Paul (February 10, 2004). "New Mozilla name rises from ashes". CNet News. CBS Interactive. Retrieved April 3, 2011. ^ "NEW ROUND OF RELEASES EXTENDS MOZILLA PROJECTS STANDARDS BASED OPEN SOURCE OFFERINGS". archive.mozilla.org. Mozilla Foundation. June 13, 2005. Retrieved April 3, 2011. ^ "Brand Name Frequently Asked Questions". Retrieved July 28, 2011. ^ "Firefox 3 for developers". Mozilla Developer Center. July 17, 2007. Retrieved July 17, 2007. ^ """Firefox 3.1 "Shiretoko. June 12, 2008. Retrieved June 12, 2008. ^ Shaver, Mike (March 6, 2009). "Shiretoko (Firefox 3.1) being renamed to Firefox 3.5". ^ Warne, Dan (May 7, 2007). "Firefox to go head-to-head with Flash and Silverlight". APC Magazine (ACP Magazines Ltd). Retrieved January 18, 2008. ^ "HTTP Access Control". June 29, 2009. Retrieved July 1, 2009. ^ Faaborg, Alex (May 15, 2009). "Creative Brief for the New Firefox Icon". Retrieved October 11, 2013. ^ "'"Firefox 3.6 due this month; next comes 'Lorentz. CNET News. January 13, 2009. Retrieved January 17, 2010. ^ "Sync in Firefox 4 Beta". ^ Eich, Brendan (October 13, 2006). "Mozilla 2". Retrieved September 16, 2006. ^ "Bug 1072181 - Investigate tweaking aurora for developers". Retrieved 2014-11-21. ^ "Firefox 5.0 release notes". Mozilla. Retrieved 2013-11-19. ^ Bright, Peter (June 27, 2011). "Firefox update policy: the enterprise is wrong, not Mozilla". Ars Technica. Retrieved 2013-11-19. ^ a b "Classic Compact Options". addons.mozilla.org [Add-ons for Firefox]. ^ "Mozilla Firefox 6 Release Notes". ^ Duebendorfer1, Thomas; Frei, Stefan (April 2009). "Why Silent Updates Boost Security". techzoom.net. ^ Bright, Peter (2012-01-04). "State of the Browser: Chrome closes on Firefox, IE6 dying out". Ars Technica. Retrieved 2013-11-19. ^ Keizer, Gregg. "Mozilla aims to add silent updating to Firefox 10". Computerworld. Retrieved March 17, 2012. ^ "Security Vulnerability in Firefox 16". Mozilla Blog. Mozilla. 2012-10-10. Retrieved October 10, 2012. ^ "HTML tree editor". Mozilla Wiki. Mozilla. Retrieved 2012-09-07. ^ "SpiderMonkey 17 - Mozilla | MDN". Developer.mozilla.org. 2014-05-02. Retrieved 2014-07-25. ^ Anderson, David (2012-09-12). 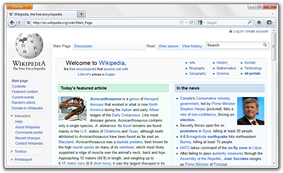 "IonMonkey in Firefox 18". Mozilla Blog. Mozilla. Retrieved 2012-10-12. ^ a b "Firefox Notes – Desktop". Firefox 19.0.1 release notes. Mozilla.org. February 27, 2013. Retrieved 2013-11-19. ^ a b "Firefox Notes – Desktop". Firefox 19.0.2 release notes. Mozilla.org. March 7, 2013. Retrieved March 21, 2013. ^ """702508 – Support parsing/computing multi-line flexbox properties "flex-wrap", "align-content. Bugzilla.mozilla.org. Retrieved 2014-02-27. ^ "Firefox 23.0 Release Notes". ^ "Firefox 23.0.1 Release Notes". ^ "SpiderMonkey 24 - Mozilla | MDN". Developer.mozilla.org. 2014-05-02. Retrieved 2014-07-25. ^ "What’s New in Firefox 25". Retrieved November 10, 2013. ^ "Here’s What’s New In Firefox 25". Retrieved November 10, 2013. ^ a b "Mozilla Firefox 27.0 Release Notes". Mozilla.org. February 4, 2014. Retrieved February 14, 2014. ^ a b "Mozilla Firefox 27.0.1 Release Notes". Mozilla.org. February 13, 2014. Retrieved February 14, 2014. ^ a b "Mozilla Firefox 28.0 Release Notes". Mozilla.org. March 18, 2014. Retrieved March 18, 2014. ^ "Firefox 28 released". Retrieved 28 March 2014. ^ a b "Mozilla Firefox 28.0.1 Release Notes (Mobile)". Mozilla.org. March 24, 2014. Retrieved April 1, 2014. ^ a b "Mozilla Firefox 29 Release Notes". Mozilla.org. April 29, 2014. Retrieved April 29, 2014. ^ a b "Mozilla Firefox 29.0.1 Release Notes". Mozilla.org. May 9, 2014. Retrieved May 12, 2014. ^ a b "Mozilla Firefox 30 Release Notes". Mozilla.org. June 10, 2014. Retrieved June 10, 2014. ^ a b "Mozilla Firefox 31 Release Notes". Mozilla.org. July 22, 2014. Retrieved July 22, 2014. ^ "Enterprise/Firefox/ExtendedSupport:Proposal - MozillaWiki". Wiki.mozilla.org. Retrieved 2014-07-25. ^ a b "Mozilla Firefox 32 Release Notes". Mozilla.org. September 2, 2014. Retrieved September 2, 2014. ^ a b "Mozilla Firefox 32.0.1 Mobile Release Notes". Mozilla.org. September 10, 2014. Retrieved September 11, 2014. ^ a b "Mozilla Firefox 32.0.1 Release Notes". Mozilla.org. September 12, 2014. Retrieved September 14, 2014. ^ a b "Mozilla Firefox 32.0.2 Release Notes". Mozilla.org. September 18, 2014. Retrieved September 19, 2014. ^ a b "Mozilla Firefox 32.0.3 Release Notes". Mozilla.org. September 24, 2014. Retrieved September 24, 2014. ^ a b "Mozilla Firefox 33.0 Release Notes". Mozilla.org. October 14, 2014. Retrieved October 14, 2014. ^ a b "Mozilla Firefox 33.0.1 Release Notes". Mozilla.org. October 24, 2014. Retrieved October 27, 2014. ^ a b "Mozilla Firefox 33.0.2 Release Notes". Mozilla.org. October 28, 2014. Retrieved October 29, 2014. ^ a b "Mozilla Firefox 33.0.3 Release Notes". Mozilla.org. November 6, 2014. Retrieved November 7, 2014. ^ a b "Mozilla Firefox 33.1 Release Notes". Mozilla.org. November 10, 2014. Retrieved November 10, 2014. ^ a b "Firefox/Decade - MozillaWiki". ^ a b "Mozilla Firefox 33.1.1 Release Notes". Mozilla.org. November 14, 2014. Retrieved November 15, 2014. ^ a b "Mozilla Firefox 34.0 Release Notes". Mozilla.org. December 1, 2014. Retrieved December 1, 2014. ^ a b "Firefox — Notes (34.0.5) — Mozilla". ^ a b "Firefox - Notes (35.0) - Mozilla". Mozilla. Retrieved January 13, 2015. ^ a b "Mozilla Firefox 35.0.1 Release Notes". Mozilla.org. January 26, 2015. Retrieved January 27, 2015. ^ a b "Mozilla Firefox 35.0.1 Release Notes (Mobile)". Mozilla.org. February 5, 2015. Retrieved February 25, 2015. ^ a b "Mozilla Firefox 36.0 Release Notes". Mozilla.org. February 24, 2015. Retrieved February 24, 2015. ^ a b "Firefox — Notes (36.0.1) — Mozilla". Mozilla.org. March 5, 2015. Retrieved March 7, 2015. ^ a b "Firefox for Android — Notes (36.0.2) — Mozilla". Mozilla.org. March 16, 2015. Retrieved March 31, 2015. ^ a b "Firefox — Notes (36.0.3) — Mozilla". Mozilla.org. March 20, 2015. Retrieved March 21, 2015. ^ a b "Firefox for Android — Notes (36.0.3) — Mozilla". Mozilla.org. March 20, 2015. Retrieved March 21, 2015. ^ a b "Firefox — Notes (36.0.4) — Mozilla". Mozilla.org. March 21, 2015. Retrieved March 22, 2015. ^ a b "Firefox for Android — Notes (36.0.4) — Mozilla". Mozilla.org. March 21, 2015. Retrieved March 22, 2015. ^ a b "Firefox — Notes (37.0) — Mozilla". Mozilla.org. March 31, 2015. Retrieved March 31, 2015. ^ a b "Firefox — Notes (37.0.1) — Mozilla". Mozilla.org. April 3, 2015. Retrieved April 4, 2015. ^ a b "Firefox for Android — Notes (37.0.1) — Mozilla". Mozilla.org. April 3, 2015. Retrieved April 4, 2015. ^ a b "Firefox for Android — Notes (37.0.2) — Mozilla". Mozilla.org. April 14, 2015. Retrieved April 16, 2015. ^ a b "Firefox — Notes (37.0.2) — Mozilla". Mozilla.org. April 20, 2015. Retrieved April 21, 2015. ^ a b "Firefox — Notes (38.0) — Mozilla". Mozilla.org. May 12, 2015. Retrieved May 13, 2015. ^ a b "Firefox — Notes (38.0.1) — Mozilla". Mozilla.org. May 14, 2015. Retrieved May 14, 2015. ^ a b "Firefox for Android — Notes (38.0.1) — Mozilla". Mozilla.org. May 15, 2015. Retrieved May 16, 2015. ^ a b "Firefox — Notes (38.0.5) — Mozilla". Mozilla.org. June 2, 2015. Retrieved June 2, 2015. ^ a b "Firefox for Android — Notes (38.0.5) — Mozilla". Mozilla.org. June 2, 2015. Retrieved June 3, 2015. ^ a b "Firefox — Notes (39.0) — Mozilla". Mozilla.org. July 2, 2015. Retrieved July 10, 2015. ^ a b "Firefox — Notes (39.0.3) — Mozilla". Mozilla.org. August 6, 2015. Retrieved August 10, 2015. ^ "Firefox version 40 set to roll with new Windows 10 features". ^ a b "Firefox — Notes (40.0) — Mozilla". Mozilla.org. August 11, 2015. Retrieved August 11, 2015. ^ a b "Firefox — Notes (40.0.2) — Mozilla". Mozilla.org. August 13, 2015. Retrieved August 18, 2015. ^ a b "Firefox — Notes (40.0.3) — Mozilla". Mozilla.org. August 27, 2015. Retrieved August 28, 2015. ^ a b "Firefox — Notes (41.0) — Mozilla". Mozilla.org. September 22, 2015. Retrieved September 22, 2015. ^ a b "Firefox — Notes (41.0.1) — Mozilla". Mozilla.org. September 30, 2015. Retrieved October 1, 2015. ^ a b "Firefox — Notes (41.0.2) — Mozilla". Mozilla.org. October 15, 2015. Retrieved October 25, 2015. ^ "Phoenix 0.1 Release Notes". Mozilla. Retrieved April 24, 2012. ^ "Phoenix 0.2 Release Notes". Mozilla. Retrieved April 24, 2012. ^ "Phoenix 0.3 Release Notes". Mozilla. Retrieved April 24, 2012. ^ "Phoenix 0.4 Release Notes". Mozilla. Retrieved April 24, 2012. ^ "Phoenix 0.5 Release Notes". Mozilla. Retrieved April 24, 2012. ^ "Mozilla Firebird 0.6 Release Notes". Mozilla. Retrieved April 24, 2012. ^ Mullen, Edward. "Mozilla Password Viewing". Archived from the original on June 24, 2007. Retrieved October 12, 2012. ^ "Mozilla Firebird 0.7 Release Notes". Mozilla. Retrieved April 24, 2012. ^ "Mozilla Firefox 0.8 Release Notes". Mozilla. Retrieved April 24, 2012. ^ "Mozilla Firefox 0.9 Release Notes". Mozilla. Retrieved April 24, 2012. ^ "Mozilla Firefox 1.0 Release Notes". Mozilla. Retrieved April 24, 2012. ^ "Mozilla Firefox 1.0.8 Release Notes". Mozilla. Retrieved April 24, 2012. ^ "Mozilla Firefox 1.5 Release Notes". Mozilla. Retrieved April 24, 2012. ^ "Mozilla Firefox 1.5.0.12 Release Notes". Mozilla. Retrieved April 24, 2012. ^ "Mozilla Firefox 2.0 Release Notes". Mozilla. Retrieved April 24, 2012. ^ "Mozilla Firefox 2.0.0.20 Release Notes". Mozilla. Retrieved April 24, 2012. ^ "Mozilla Firefox 3 Release Notes". Mozilla. June 17, 2008. Retrieved April 22, 2012. ^ "Mozilla Firefox 3.0.19 Release Notes". Mozilla. March 30, 2010. Retrieved April 22, 2012. ^ "Mozilla Firefox 3.5 Release Notes". Mozilla. June 30, 2009. Retrieved April 22, 2012. ^ "Mozilla Firefox 3.5.19 Release Notes". Mozilla. April 28, 2011. Retrieved April 22, 2012. ^ "Mozilla Firefox 3.6 Release Notes". Mozilla. January 21, 2010. Retrieved April 22, 2012. ^ "Mozilla Firefox 3.6.4 Release Notes". Mozilla. June 22, 2010. Retrieved April 22, 2012. ^ "Mozilla Firefox 3.6.28 Release Notes". Mozilla. March 13, 2012. Retrieved April 22, 2012. ^ "Mozilla Firefox 4 Release Notes". Mozilla. March 22, 2011. Retrieved April 22, 2012. ^ "Mozilla Firefox 4.0.1 Release Notes". Mozilla. April 28, 2011. Retrieved April 22, 2012. ^ a b "Firefox 5 Available for Download". Mashable. June 21, 2011. Retrieved June 22, 2011. ^ "News: Firefox 5 heading your way". Hexus.net. 20 June 2011. Retrieved June 20, 2011. ^ "Firefox 5 for developers". MDC Docs Firefox 5 for developers. ^ "Firefox Beta release notes". ^ Marshall, Gary (June 22, 2011). "Hands on: Firefox 5 review". Application News (TechRadar UK). Retrieved June 23, 2011. ^ "Mozilla Firefox Release Notes". Mozilla.org. June 21, 2011. Retrieved February 7, 2012. ^ "Gecko versions and application versions". ^ "Firefox 5 minor update for Mac coming soon". blizzard. July 8, 2011. Retrieved April 22, 2012. ^ "Mozilla Firefox 5.0.1 Release Notes". Mozilla. July 11, 2011. Retrieved April 22, 2012. ^ "Bug List (fixed bugs for Firefox 6)". Bugzilla.mozilla.org. Retrieved February 7, 2012. ^ "Mozilla Firefox 6.0.1 Release Notes". Mozilla. August 30, 2011. Retrieved April 22, 2012. ^ "Mozilla Firefox 6.0.2 Release Notes". Mozilla. September 6, 2011. Retrieved April 22, 2012. ^ "Mozilla Firefox 7.0 Release Notes". Mozilla. 2011-09-27. Retrieved 2012-02-07. ^ "Mozilla Firefox 7.0.1 Release Notes". Mozilla. September 29, 2011. Retrieved April 22, 2012. ^ "Mozilla Firefox Release Notes". Mozilla. 2011-11-08. Retrieved 2012-02-08. ^ "Mozilla Firefox 8.0.1 Release Notes". Mozilla. November 21, 2011. Retrieved April 22, 2012. ^ "Mozilla Firefox Release Notes". Mozilla. 2011-12-20. Retrieved 2012-02-08. ^ "Mozilla pushes out Firefox 9.0.1". ZDNet. December 22, 2011. Retrieved April 22, 2012. ^ "Mozilla Firefox Release Notes". Mozilla. 2012-01-31. Retrieved 2012-02-08. ^ "Mozilla Firefox Release Notes". Mozilla. 2012-02-10. Retrieved 2012-10-27. ^ "Mozilla Firefox 10.0.2 Release Notes". Mozilla. February 16, 2012. Retrieved April 22, 2012. ^ "Security Advisories for Firefox". Mozilla. March 13, 2012. Retrieved April 22, 2012. ^ "Mozilla Firefox 10.0.3 Release Notes". Mozilla. 2012-03-13. Retrieved 2012-02-08. ^ "Mozilla Firefox 10.0.4 Release Notes". Mozilla. April 24, 2012. Retrieved April 24, 2012. ^ "Mozilla Firefox 10.0.5 Release Notes". Mozilla. 2012-06-05. Retrieved 2012-06-06. ^ "Mozilla Firefox 10.0.6 Release Notes". Mozilla. July 17, 2012. Retrieved 2012-10-27. ^ "Mozilla Firefox 10.0.7 Release Notes". Mozilla. 2012-08-28. Retrieved July 17, 2012. ^ a b c "Security Advisories for Firefox". Mozilla. 2012-10-26. Retrieved 2012-10-27. ^ "Security Advisories for Firefox". Mozilla. 2012-11-20. Retrieved 2012-11-20. ^ "Security Advisories for Firefox". Mozilla. 2013-01-08. Retrieved 2013-01-08. ^ "Mozilla Firefox 11 Release Notes". Mozilla.org. 2012-03-13. Retrieved 2012-03-16. ^ "Mozilla Firefox 12 Release Notes". Mozilla.org. April 24, 2012. Retrieved April 24, 2012. ^ "Mozilla Firefox 13 Release Notes". Mozilla.org. 2012-06-05. Retrieved 2012-06-06. ^ "Mozilla Firefox 13.0.1 Release Notes". Mozilla.org. 2012-06-15. Retrieved 2012-06-16. ^ "Mozilla Firefox 14 Aurora Release Notes". Mozilla.org. Retrieved April 27, 2012. ^ Brinkmann, Martin (July 17, 2012). "Firefox 14.0.1 available, Why there won't be a Firefox 14.0 release". ghacks.net. Retrieved July 17, 2012. ^ "Mozilla Firefox 14.0.1 Release Notes". Mozilla.org. July 17, 2012. Retrieved July 17, 2012. ^ "Mozilla Firefox 15.0 Release Notes". Mozilla.org. 2012-08-28. Retrieved 2012-08-28. ^ "Mozilla Firefox 15.0.1 Release Notes". Mozilla.org. 2012-09-06. Retrieved 2012-09-10. ^ "Mozilla Firefox 16.0 Release Notes". Mozilla.org. 2012-10-09. Retrieved 2012-10-10. ^ "Mozilla Firefox 16.0.1 Release Notes". Mozilla.org. Retrieved 2012-10-11. ^ "Mozilla Firefox 16.0.2 Release Notes". Mozilla.org. Retrieved 2012-10-27. ^ "Mozilla Firefox 17.0 Release Notes". Mozilla.org. 2012-11-20. Retrieved 2012-11-20. ^ "Mozilla Firefox 17.0.1 Release Notes". Mozilla.org. 2012-11-30. Retrieved 2012-12-01. ^ "Mozilla Firefox 17.0.2 ESR Release Notes". Mozilla.org. 2013-01-08. Retrieved 2013-01-08. ^ "Mozilla Firefox 17.0.3 ESR Release Notes". Mozilla.org. 2013-02-19. Retrieved 2013-02-19. ^ "Mozilla Firefox 17.0.4 ESR Release Notes". Mozilla.org. 2013-03-07. Retrieved 2013-03-12. ^ "Mozilla Firefox 17.0.5 ESR Release Notes". Mozilla.org. 2013-04-02. Retrieved 2013-04-02. ^ "Mozilla Firefox 17.0.6 ESR Release Notes". Mozilla.org. May 14, 2013. Retrieved May 14, 2013. ^ "Mozilla Firefox 17.0.7 ESR Release Notes". Mozilla.org. June 25, 2013. Retrieved June 25, 2013. ^ "Mozilla Firefox 17.0.8 ESR Release Notes". Mozilla.org. August 6, 2013. Retrieved August 6, 2013. ^ "Mozilla Firefox 17.0.9 ESR Release Notes". Mozilla.org. September 17, 2013. Retrieved September 17, 2013. 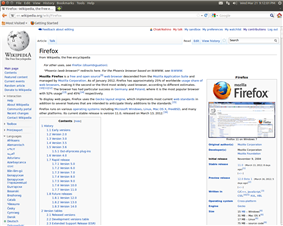 ^ "Mozilla Firefox 17.0.10 ESR Release Notes". Mozilla.org. October 29, 2013. Retrieved October 29, 2013. ^ "Mozilla Firefox 17.0.11 ESR Release Notes". Mozilla.org. November 15, 2013. Retrieved November 18, 2013. ^ "Mozilla Firefox 18.0 Release Notes". Mozilla.org. January 8, 2013. Retrieved January 8, 2013. ^ "Mozilla Firefox 18.0.1 Release Notes". Mozilla.org. January 18, 2013. Retrieved January 21, 2013. ^ "Mozilla Firefox 18.0.2 Release Notes". Mozilla.org. February 5, 2013. Retrieved February 7, 2013. ^ "Mozilla Firefox 19.0 Release Notes". Mozilla.org. February 19, 2013. Retrieved February 19, 2013. ^ "Mozilla Firefox 20.0 Release Notes". Mozilla.org. April 2, 2013. Retrieved April 2, 2013. ^ "Mozilla Firefox 20.0.1 Release Notes". Mozilla.org. April 11, 2013. Retrieved April 13, 2013. ^ "Mozilla Firefox 21.0 Release Notes". Mozilla.org. May 14, 2013. Retrieved May 14, 2013. ^ "Mozilla Firefox 22.0 Release Notes". Mozilla.org. June 25, 2013. Retrieved June 25, 2013. ^ "Mozilla Firefox 23.0 Release Notes". Mozilla.org. August 6, 2013. Retrieved August 9, 2013. ^ "Mozilla Firefox 23.0.1 Release Notes". Mozilla.org. August 16, 2013. Retrieved August 20, 2013. ^ "Mozilla Firefox 24.0 Release Notes". Mozilla.org. September 17, 2013. Retrieved September 17, 2013. ^ "Mozilla Firefox ESR 24.1.0 Release Notes". Mozilla.org. October 29, 2013. Retrieved October 30, 2013. ^ "Mozilla Firefox ESR 24.1.1 Release Notes". Mozilla.org. November 15, 2013. Retrieved November 18, 2013. ^ "Mozilla Firefox ESR 24.2.0 Release Notes". Mozilla.org. December 10, 2013. Retrieved December 11, 2013. ^ "Mozilla Firefox ESR 24.3.0 Release Notes". Mozilla.org. February 4, 2014. Retrieved February 4, 2014. ^ "Mozilla Firefox ESR 24.4.0 Release Notes". Mozilla.org. March 18, 2014. Retrieved March 18, 2014. ^ "Mozilla Firefox ESR 24.5.0 Release Notes". Mozilla.org. April 29, 2014. Retrieved April 29, 2014. ^ "Mozilla Firefox ESR 24.6.0 Release Notes". Mozilla.org. June 10, 2014. Retrieved June 10, 2014. ^ "Mozilla Firefox ESR 24.7.0 Release Notes". Mozilla.org. July 22, 2014. Retrieved July 22, 2014. ^ "Mozilla Firefox ESR 24.8.0 Release Notes". Mozilla.org. September 2, 2014. Retrieved September 2, 2014. ^ "Mozilla Firefox ESR 24.8.1 Release Notes". Mozilla.org. September 24, 2014. Retrieved September 25, 2014. ^ "Mozilla Firefox 25.0 Release Notes". Mozilla.org. October 29, 2013. Retrieved October 29, 2013. ^ "Mozilla Firefox 25.0.1 Release Notes". Mozilla.org. November 15, 2013. Retrieved November 15, 2013. ^ "Mozilla Firefox 26.0. Release Notes". Mozilla.org. December 10, 2013. Retrieved December 10, 2013. ^ "Mozilla Firefox 26.0.1 Mobile Release Notes". Mozilla.org. December 20, 2013. Retrieved February 4, 2014. ^ "Mozilla Firefox ESR 31.1.0 Release Notes". Mozilla.org. September 2, 2014. Retrieved September 2, 2014. ^ "Mozilla Firefox ESR 31.1.1 Release Notes". Mozilla.org. September 24, 2014. Retrieved September 25, 2014. ^ "Mozilla Firefox ESR 31.2.0 Release Notes". Mozilla.org. October 14, 2014. Retrieved October 14, 2014. ^ "Mozilla Firefox ESR 31.3.0 Release Notes". Mozilla.org. December 1, 2014. Retrieved December 2, 2014. ^ "Mozilla Firefox ESR 31.4.0 Release Notes". Mozilla.org. January 13, 2015. Retrieved January 14, 2015. ^ "Mozilla Firefox ESR 31.5.0 Release Notes". Mozilla.org. February 24, 2015. Retrieved February 24, 2015. ^ "Firefox — Notes (31.5.2) — Mozilla". Mozilla.org. March 20, 2015. Retrieved March 21, 2015. ^ "Firefox — Notes (31.5.3) — Mozilla". Mozilla.org. March 21, 2015. Retrieved March 22, 2015. ^ "Mozilla Firefox ESR 31.6.0 Release Notes". Mozilla.org. March 31, 2015. Retrieved March 31, 2015. ^ "Mozilla Firefox ESR 31.7.0 Release Notes". Mozilla.org. May 12, 2015. Retrieved May 13, 2015. ^ "Mozilla Firefox ESR 31.8.0 Release Notes". Mozilla.org. July 2, 2015. Retrieved July 3, 2015. ^ "Firefox — Notes (38.1.0) — Mozilla". Mozilla.org. July 2, 2015. Retrieved July 3, 2015. ^ a b "Same origin violation and local file stealing via PDF reader". Mozilla Foundation. Retrieved 7 August 2015. ^ "Firefox — Notes (38.2.0) — Mozilla". Mozilla.org. August 11, 2015. Retrieved August 11, 2015. ^ "Firefox — Notes (38.2.1) — Mozilla". Mozilla.org. August 27, 2015. Retrieved August 28, 2015. ^ "Firefox — Notes (38.3.0) — Mozilla". Mozilla.org. September 22, 2015. Retrieved September 22, 2015. ^ a b c "Mozilla Firefox System Requirements". Mozilla. September 30, 2015. Retrieved September 30, 2015. ^ "End of Firefox Support for Windows 2000". October 9, 2012. Retrieved October 10, 2012. ^ Mozilla. "Mozilla Firefox 16 System Requirements". Mozilla. Retrieved November 20, 2012. ^ Mozilla. "Mozilla Firefox 4 System Requirements". Mozilla. Retrieved March 24, 2011. ^ Mozilla. "Mozilla Firefox 3.6 System Requirements". Mozilla. Retrieved March 13, 2012. ^ Mozilla. "Mozilla Firefox for Mobile 32 Release Notes". Mozilla. Retrieved October 15, 2014. ^ "Firefox/Thunderbird Web Browsers for HP-UX 11i" (Requires HP Passport Sign-in). Hewlett-Packard. Retrieved August 14, 2011. ^ "Firefox on RISC OS". ^ Williams, Chris (May 20, 2005). "Firefox first beta published". ^ "New release of RISC OS Firefox available". ^ "Riscos: RISC OS Software Using Firefox". Riscos. Retrieved March 31, 2012. ^ Johnathan Nightingale (March 14, 2014). "Update on Metro". Retrieved March 15, 2014. MozillaZine Weblogs at the Wayback Machine (archived July 17, 2011), Where Did Firefox Come From?